Another store that I visited on my recent trip was in Bellevue, WA. QuiltWorks Northwest was where I went to check out beads. They had acquired another Washington store, Beads and Beyond, and then moved to a space where beads occupied a significant portion of the store. I haven't been using beads up to now in my designs but have been feeling more and more inclined to incorporate them into my work. 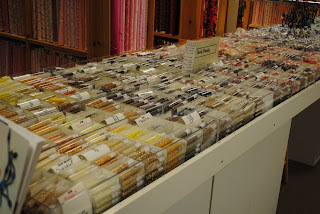 QuiltWorks Northwest was the perfect place to visit. A very helpful sales person not only discussed the various beads but also helped me with needles and thread. And, was there a selection to choose from! 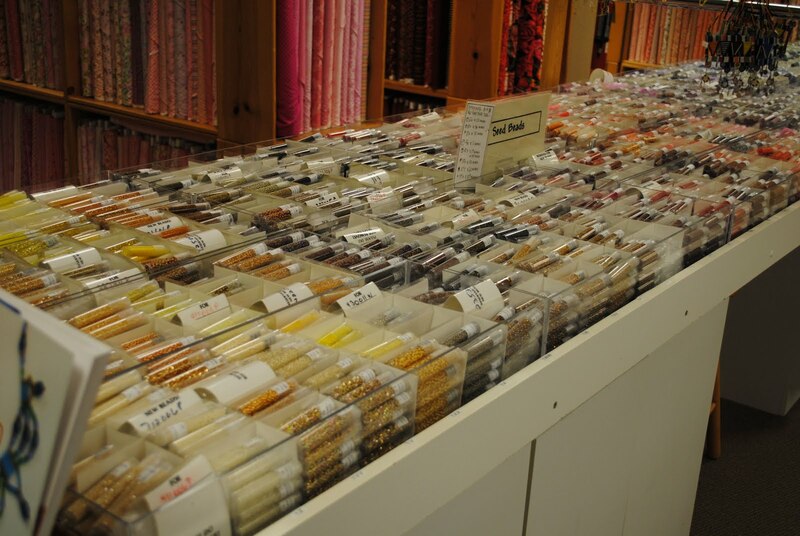 You can see what I mean by these photos which capture only a fraction of the tables that are devoted to beads. I left the store with a nice supply and the 'tools' to be able to experiment and without having to spend a significant amount of money. 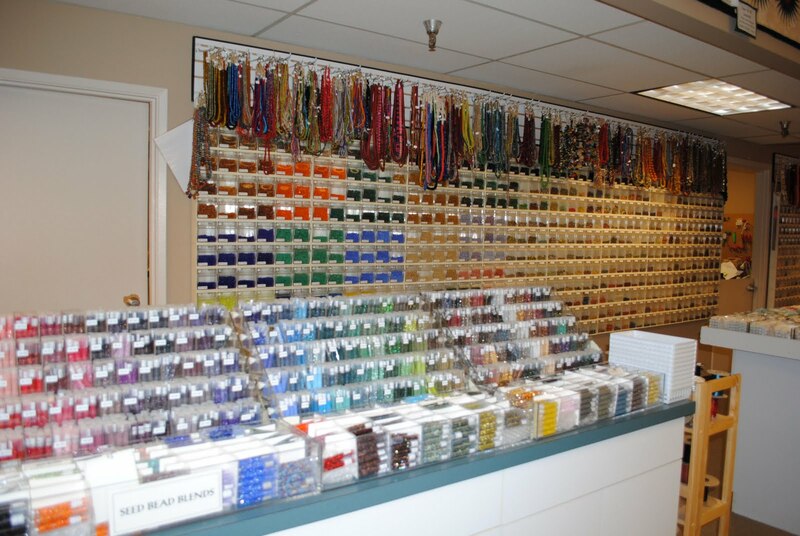 You can find QuiltWorks Northwest at 121A 107th Ave. NE in Bellevue. They have a website too.